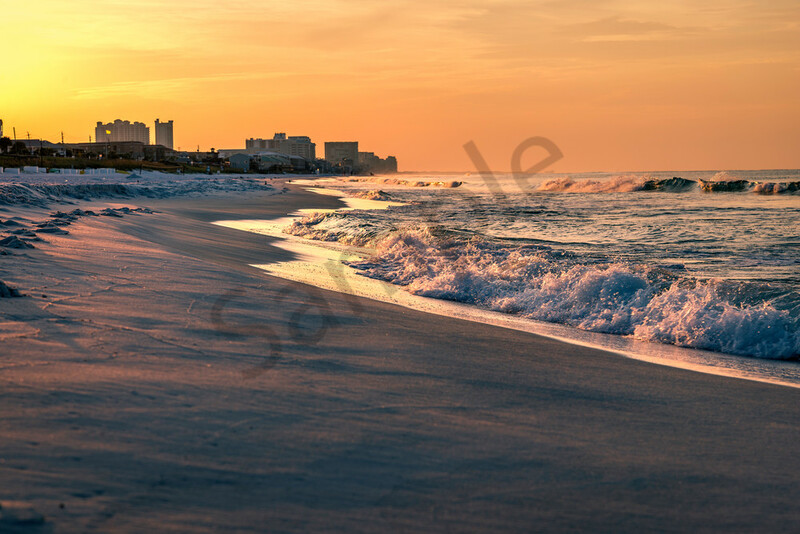 The sky was really putting on a show for this sunrise - this photograph was taken at Mirmar Beach in Destin, Florida. The sun's orange bathed the sky in a warm glow that reflected onto the water and the sand. The beach is my happy place, so wherever I travel, if there is a beach, you can be sure I'll photograph some sunrises and sunsets, waves, and sand. The quality of the light is different nearly every day there in Destin. But, one thing you can be assured - the beach will be gorgeous!